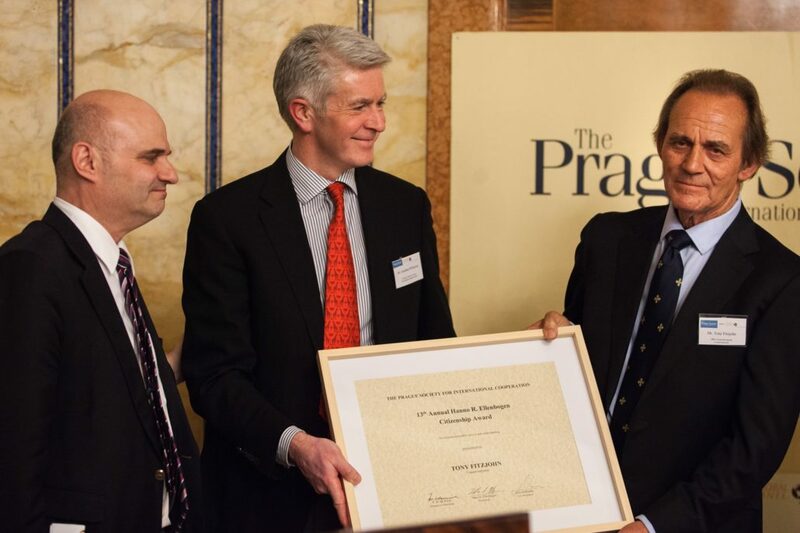 Every year the Prague Society presents the Hanno R. Ellenbogen Citizenship Award. 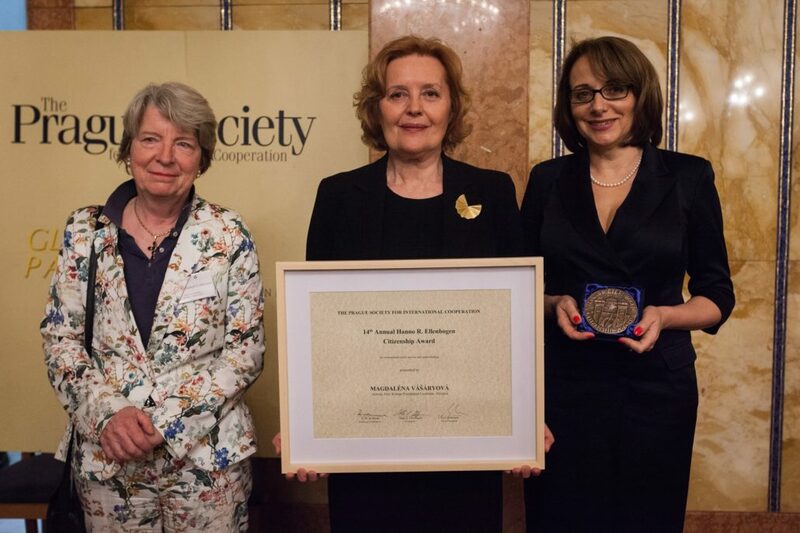 The award honors dedication to and achievment in public service, particularly in Central and Eastern Europe. Traditionally the recipient of the award donates the award's financial prize to a young person of his or her choice. 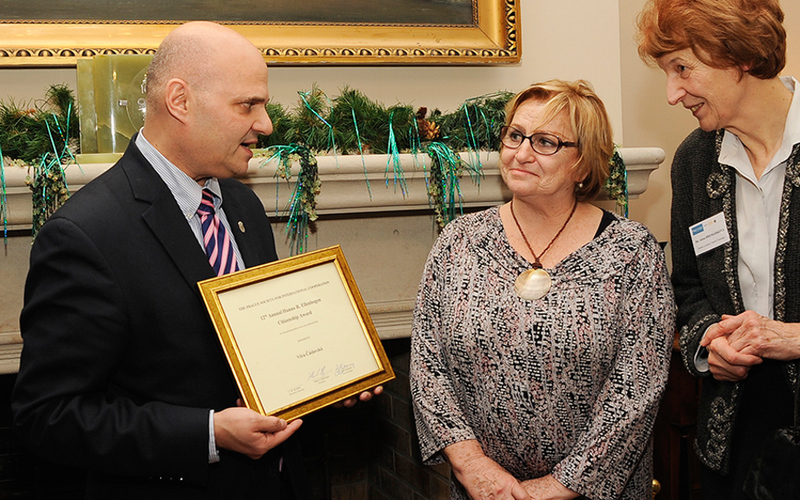 The HRE Award is presented in partnership with the Global Panel Foundation. It has been awarded annually since 2000 - with the only exception of 2012 when no recipient was named. Previous recipients include Madeleine Albright, Vaclav Havel, Adam Michnik and the 14th Dalai Lama. 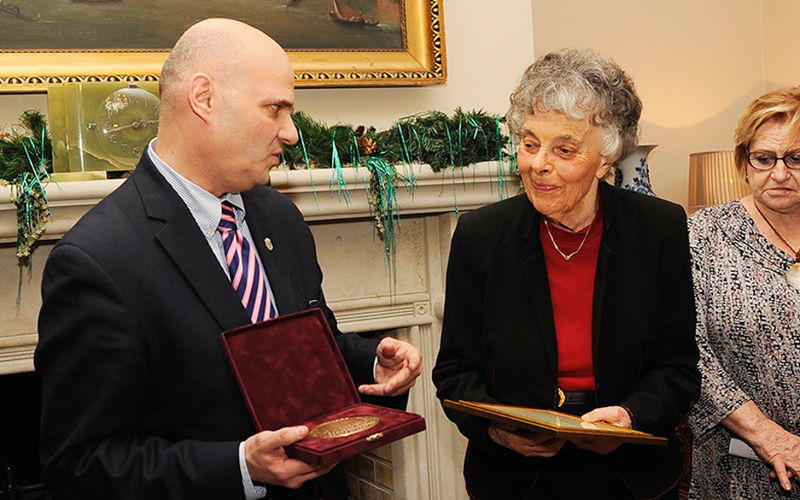 The Hanno R. Ellenbogen Citizenship Award honors a woman who grew up in post-war Germany. The years spent in a divided Europe instilled in her a firm belief in positive action. Her commitment to ideals of public service and the common good helped to break down the barriers which divide people from people in their shared destiny. The Santa Marta Group combats modern slavery and human trafficking globally. In particular it focuses on bringing together the heads of national and international police and law enforcement agencies along with international organisations to look at how they can work with the Catholic Church to help victims. The Santa Marta Group is named after the home of Pope Francis and was initiated by the Catholic Bishops’ Conference for England and Wales. It was established in Rome in 2014 when police chiefs and Catholic bishops came together in the presence of Pope Francis. 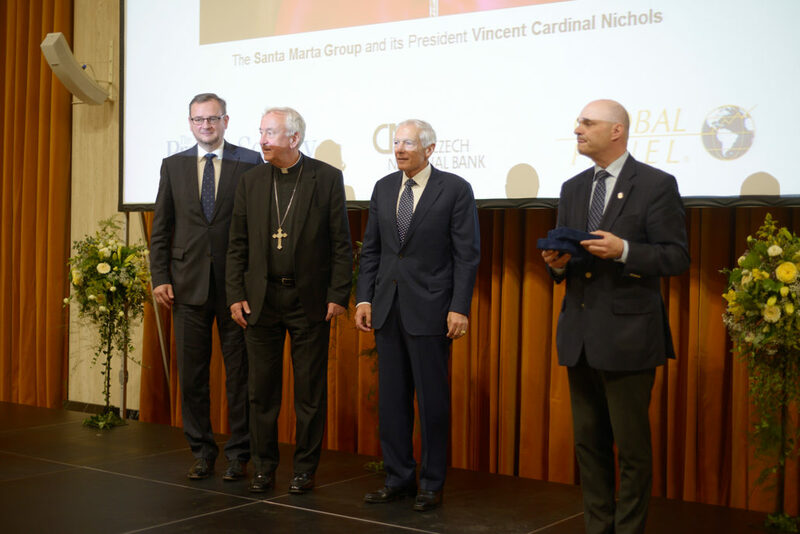 His Eminence Vincent Cardinal Nichols is the President of the Santa Marta Group, Archbishop of Westminster and President of the Catholic Bishops’ Conference of England and Wales. Modern slavery is one of the gravest criminal challenges confronting the international community. The scale of the problem is such that now, according to some studies, it ranks as the second most profitable worldwide criminal enterprise after the illegal arms trade. This exploitation can take many forms including forced labor, sexual exploitation, domestic servitude, forced criminality and organ harvesting. Both Pope Benedict and Pope Francis continually drew the attention of the Church and wider world to the moral and human crisis evident in this widespread human exploitation. Tom Nicholson is an investigative journalist who has covered Slovakia for the past 20 years. 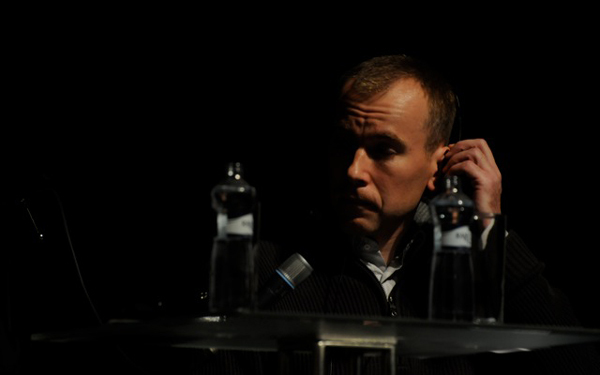 He was editor-in-chief at the The Slovak Spectator and head of investigative reporting a the SME daily. Later he worked for the weekly Trend. He is best known for making public the ‘Gorilla’ scandal in Slovakia in 2012. 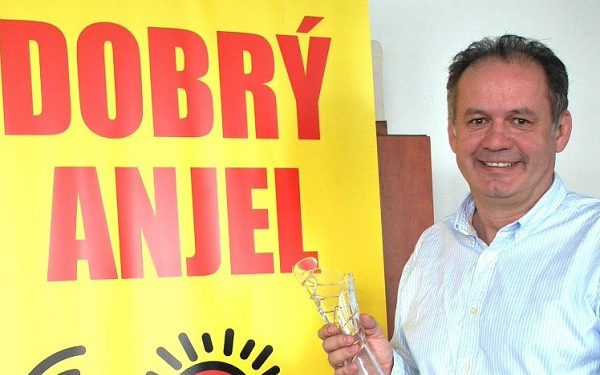 ‘Gorilla’ is considered by many the biggest corruption story in Slovak history. It is named after a Slovak Secret Service wiretap file which alleges massive fraud at the highest level of Slovak politics and business. It exposed politicians, public officials and business representatives discussing kickbacks in return for procurement and privatisation contracts and rocked the Slovak political scene. Nicholson lives in Canada and is finishing a book on ties between politics and organized crime. 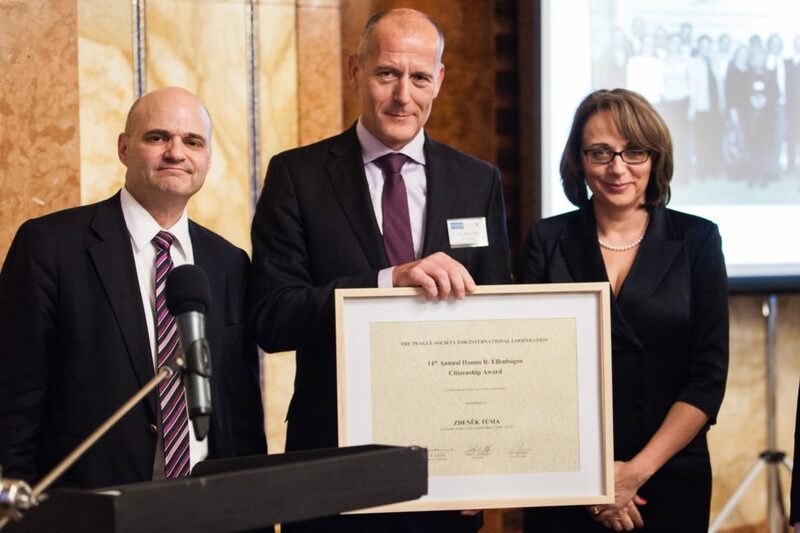 Ján Kuciak and Martina Kušnírová receive a Special Award in memoriam for their courageous commitment to Kuciak’s work as an investigative reporter. The couple were murdered in their home in February 2018 in an attempt to silence them. Kuciak, in his work, focused on politically related fraud. At the time of his death he had been working on a story on the influence of the Calabrian mafia, the ‘Ndrangheta,’ on business and politics in Slovakia. The murders caused mass protests and a lasting political crisis in Slovakia. They led to the resignation of the prime minister and his cabinet, as well as the head of police. At the time of writing no one has been charged with the murders. Zdeněk Tůma spent 10 years as Governor of the Czech National Bank. He was often listed in leading international magazines as one of the World’s top 5 central bankers. An economist, he has dedicated his life to public service. He served as economic advisor to the Minister of Industry and Trade in the newly established Czech Republic, worked for the European Bank for Reconstruction and Development (EBRD) and received great acclaim for steering the Czech Economy. Petr Koukal is a Czech professional badminton player who successfully overcame testicular cancer. Koukal is considered a role model for his relentless fighting spirit and overall positivism and was chosen as the flag bearer of the Czech team during the 2012 Summer Olympics in London. 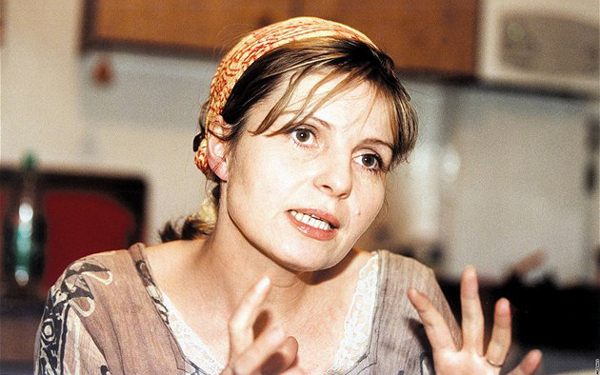 Magdaléna Vášáryová is a Slovak actress and diplomat, recognized for her liberal anti-nationalist stances and her fight against corruption and the remnants of the former communist regime in her country. She served as Slovak State Secretary for Foreign Affairs and as ambassador to Austria and Poland. In 1999, she became the first female presidential candidate in Slovakia. She was asked, but declined to be Vice-President of Democratic Czechoslovakia. Živena is the oldest women’s association in the region – established as early as 1869 – to address concerns of education and emancipation of young Slovak women during Austria-Hungarian times. It remains an active campaigner for women’s rights. Tony Fitzjohn is a legendary British conservationist who has dedicated his life to nature conservation in Africa. He was involved in developing anti-poaching units and veterinary research in endangered species. He has worked succesfully for 30 years in rehabilitation of zoo animals into the wild and has cooperated with many Central European zoo. He currently runs a rhino sanctuary within the Mkomazi National Park in Tanzania. In recognition of his service to wildlife conservation, Fitzjohn was appointed an Officer of the Order of the British Empire (OBE) in 2006. Arthur Sniegon is a young Czech student on course to become a recognized wildlife conservationist himself, with a focus on saving the African elephant. He has been making documentary films, investigated the ivory business, helped to provide healthcare to local tribesmen and is now launching a project to utilize drones to fight poaching. 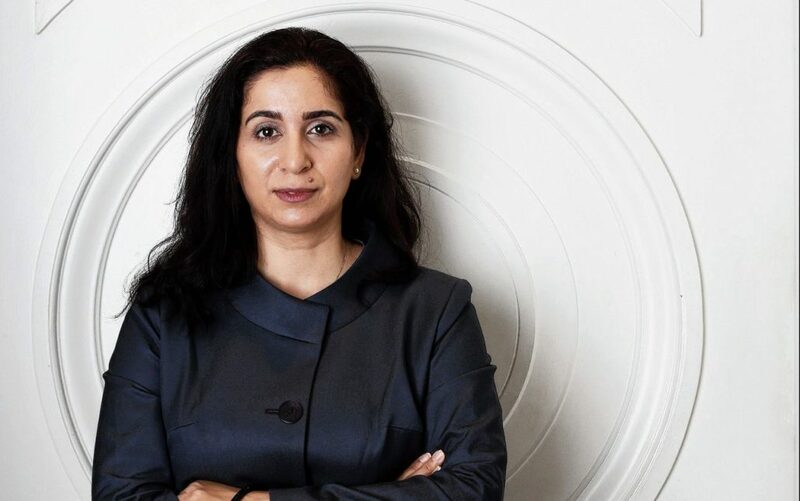 Souad Mekhennet is a German author and journalist of Turkish-Moroccan descent who is known for her critical and insightful reporting for major international news organizations, including The New York Times, Frankfurter Allgemeine Zeitung, The Washington Post and German television channel ZDF. She wrote world-famous books such as “The Eternal Nazi: From Mauthausen to Cairo, the Relentless Pursuit of SS. Doctor Aribert Heim” in 2014. She has covered some of the world’s dangerous conflicts and is best known for her brave reports on radical Islamic movements. Her latest book, “I Was Told to Come Alone: My Journey Behind the Lines of Jihad,” recounts some of her most perilous assignments. Praunheimer Werkstätten supports and employs people with intellectual disability, or, in the words of Mekhennet “the very special people of our societies.“ Weißer Ring is a crime victim support organization independent from state funding. Vera Čáslavská was the most successful Czechoslovak gymnast of all time, winner of seven individual Olympic Gold Medals, still a record for all female athletes today. During the 1968 Olympic Games, she took her protest against the occupation of Czechoslovakia to the world stage by quietly looking down and away while the Soviet national anthem was being played during a medal ceremony. Following this public protest – and despite her immense popularity – she became a persona non grata for the new communist regime, was forced into retirement and was denied the right to travel and attend sporting events. After the Velvet Revolution, she regained the recognition she deserved and was elected President of the Czech Olympic Committee. After the 1989 Revolution, she was an advisor to President Havel and served as President of the Czech Olympic Committee (1990–1996). 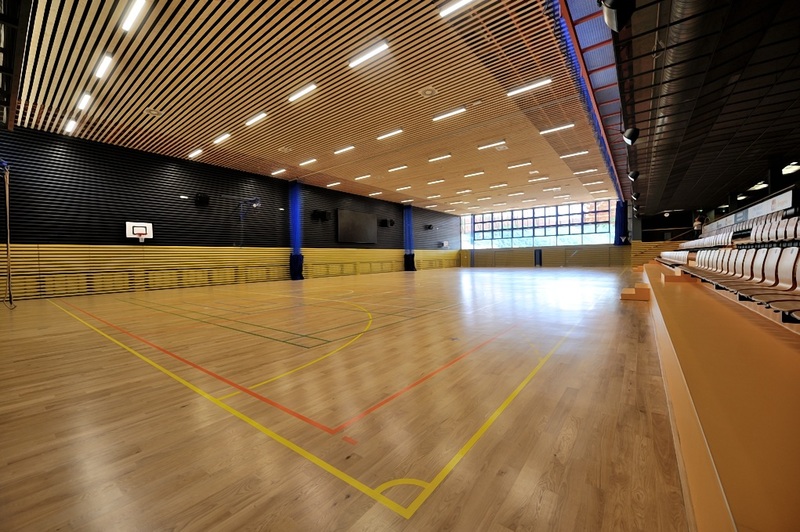 The financial part of Věra Čáslavská’s Award went to support the building of a Sports & Athletic Hall in Černošice. Iva Drápalová was an Associated Press correspondent in Prague between 1968 and 1988. As a journalist, she refused to yield to constant pressure and surveillance applied by the Communist regime. With hard work, courage and dedication, she helped to keep Czechoslovakia relevant and in the Western press until after the Velvet Revolution. She was a translator at Velvet Revolution press conferences and, after 1989, she worked as a consultant for the Los Angeles Times, operating as a sounding board and offering guidance to foreign journalists until her retirement. Iva Drápalová chose Štěpán Ripka as the recipient of the monetary part of her award. Štěpán Ripka is the chair of the Platform for Social Housing and a social researcher and policy analyst who studies Roma communities and advises the Open Society Institute and the Czech Government. 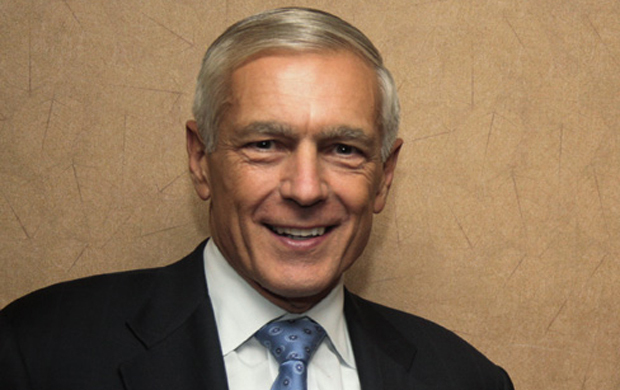 General Wesley Clark is a much decorated and honoured four-star general of the United States Army. He was the Supreme Allied Commander of Nato (SACEUR). Almost immediately after becoming SACEUR Clark started pushing for NATO membership for Hungary, Poland and the Czech Republic. He became the first NATO commander to visit Prague after the fall of Communism. His legacy in the region is marked by these efforts and his effort to bring peace to Kosovo. 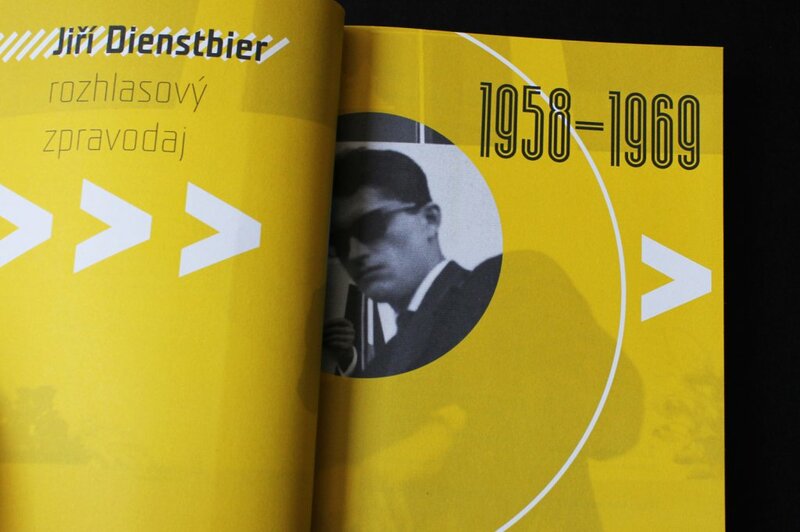 As one of Czechoslovakia’s most respected foreign correspondents, Jiří Dienstbier lost his job after the end of Prague Spring and held menial jobs for the following two decades. 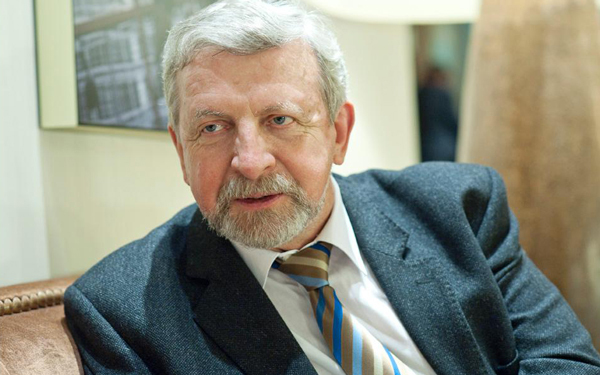 He is a signatory of Charta 77 and helped to restart Lidové Noviny, one of the country’s major newspapers. In 1989 he became the first Foreign Minister of post-Communist Czechoslovakia. He played a pre-eminent role in shaping post-Communist foreign policy in a democratic Czechoslovakia between 1989 and 1993 and from Central Europe to Asia to the Middle East. When the Czech Republic and Slovakia separated as states, he played a leading role as a commentator and thoughtful rebel. Finally he entered politics again in the 21st century as a Senator and Chair of the Senate Foreign Relations Committee. Jiří Dienstbier – rozhlasový zpravodaj. 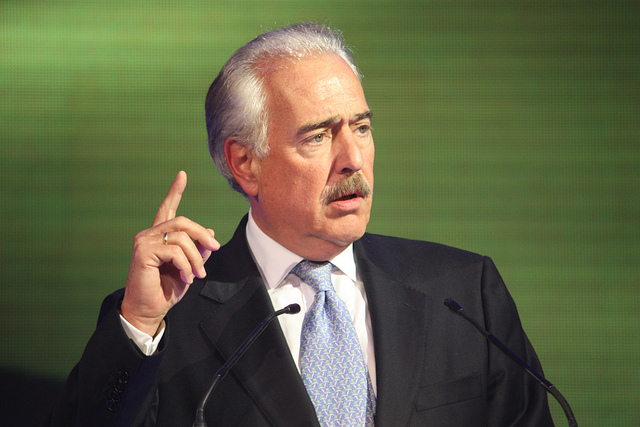 Andrés Pastrana was the Mayor of Bogotá and served as President of Colombia from 1998 to 2002. Already as a journalist and lawyer, before his political career, he had dedicated his life to fight corruption, and the Colombian drug trade that lies at the root of the country’s civil war. In 1988, he was kidnapped by the Medellín Cartel, which was pressuring the Colombian government into preventing the extradition of Pablo Escobar and other drug lords to the United States. As President of his country, he was determined to solve the violent conflict with the FARC and ELN guerrilla groups peacefully. 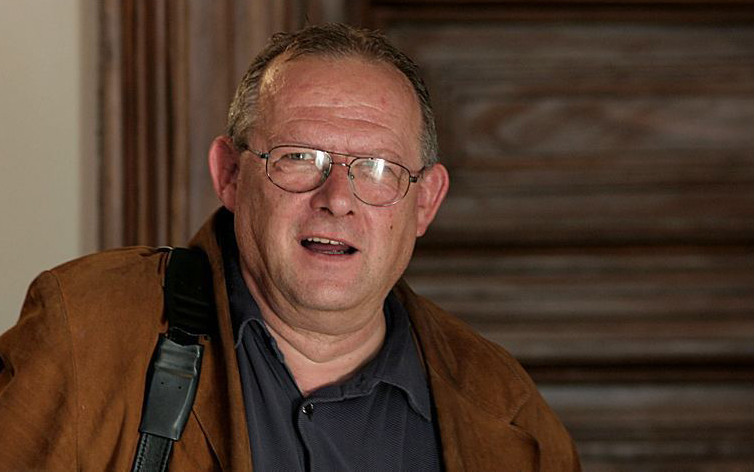 Adam Michnik is a Polish historian and essayist. He is editor-in-chief of the Polish newspaper, Gazeta Wyborcza, the first independent news daily in Poland after the fall of Communism. As activist for the Workers Defence Committee (KOR) and for the dissident Solidarność movement, he was detained many times and imprisoned for a total of six years for opposing the communist regime in Poland. He played a crucial role during the Polish Round Table Talks, as a result of which the communists agreed to call elections in 1989. He has maintained an influential voice through journalism ever after. 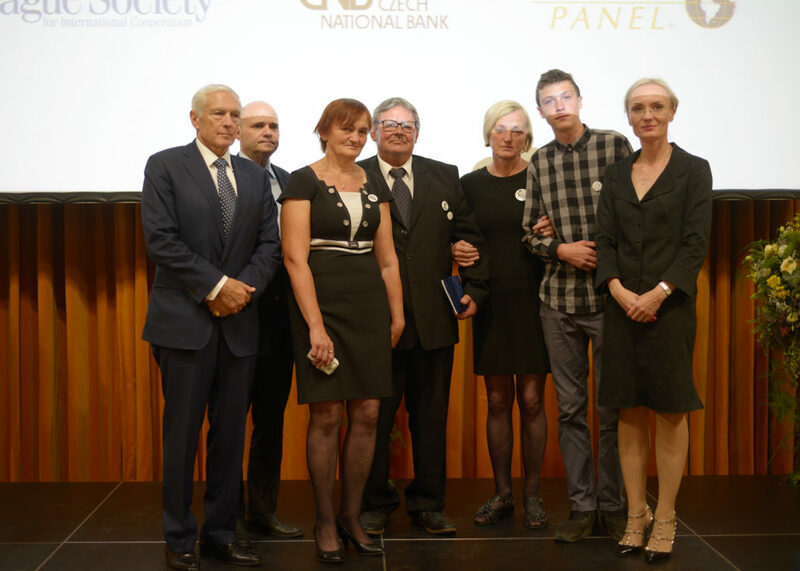 Michnik presented the financial portion of the award to two young journalists at the Polish daily Gazeta Wyborcza, Juliusz Kurkiewicz and Aleksandra Klich-Siewiorek. 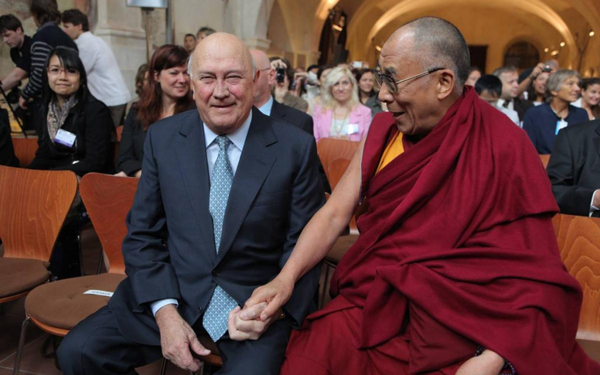 The Dalai Lama in Prague with F. W. de Klerk, the Prague Society’s Honorary President. The 14th Dalai Lama, Tenzin Gyatso, is head of state and spiritual leader of Tibet. As Dalai Lama, he is the centre of hope and trust for the Tibetan people, working to preserve their culture and obtain the right for self-governance. In 1989, He was awarded the Nobel Peace Prize for his non-violent struggle for the self-determination of the people of Tibet. 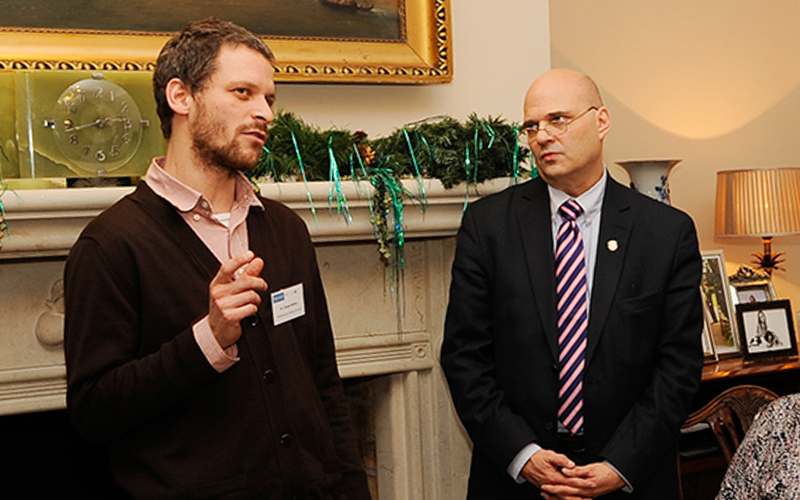 He is also recognized for his genuine concern for global environmental problems. Andrej Kiska, the co-founder of Dobrý Anjel and President of Slovakia. The 14th Dalai Lama donated the financial part to the Slovak charity “Dobrý anjel” (Good Angel) which helps families of children that suffer from cancer or other insidious diseases such as: cerebral palsy, cystic fibrosis, chronic renal failure, muscular dystrophy or down syndrome. Donations are made to families based on financial need. Desmond Mullan, managing director of Volvo Auto Czech 2000-2006, was one of the Prague Society’s staunchest supporters and a remarkable individual who contributed greatly to the world of business, education (International School in Prague), religion (congregation of the Roman Catholic Church of St Thomas in Mala Strana), civil society and the arts in the Czech Republic. His sudden passing in a tragic accident touched the Society and beyond. This was a special award with no secondary nominee. Alexander Millinkevich is a Belarusian politician who entered politics after the fall of the Soviet Union. He was chosen by the United Democratic Forces of Belarus as joint candidate of the opposition in the presidential elections of 2006, to stand against Alexander Lukashenko. 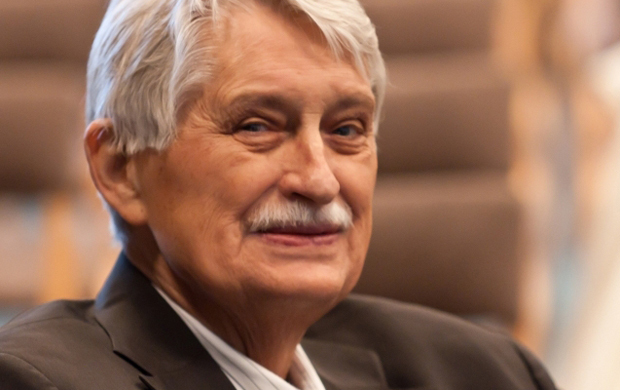 He was awarded the Sakharov Prize by the European Parliament and became chairman of the Movement for Freedom, pleading for greater liberties and the right to choose for the Belarusian people. The financial part of the award went to Pavel Sieviarynets, a prominent young Belarusain youth organizer and political leader of the Christian Democratic Party. Sieviarynets is the founder of the Young Front, the most persecuted political organisation in Belarus. He is also a talented publicist, author of a number of books and articles in which he presents his ideas and values, calling Belarusians to a national awakening and protest against autocratic rule. 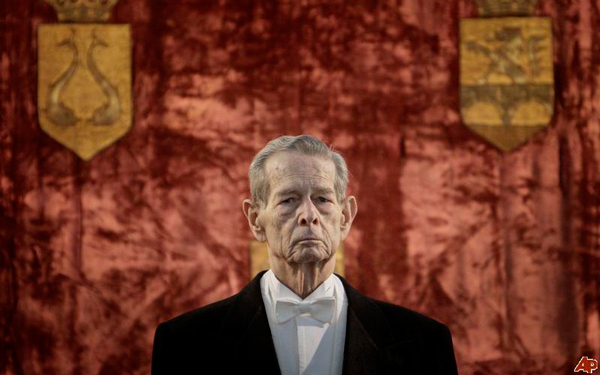 His Majesty King Michael I of Romania, the last living Monarch who headed a country during World War Two, was deposed by the Communists, stripped of his citizenship, and banished from his own country in 1947. Never forgetting his people, over the next fifty-five years he worked as a mechanic, commercial pilot and businessman. He is famously quoted as saying “The King is head of state but he is also the first servant of the people. Never forget that.” In 1992, he was permitted to return to Romania where he was greeted by over a million people, only to be banished again until 1996. The financial part of the award went to Petrisor Ostafie, a student of Medical Bio-engineering in Iasi. Ostafie is an example of someone who, on receiving something, returns more than was given. He proved this by being first a volunteer and then a member of the Board of the Alaturi de Voi (Close to You) Romania Foundation. In addition, he exudes in speaking on numerous occasions about what it means to live with HIV and has become an example for many young people in the same situation. Petrisor has spent over 4000 hours of voluntary work on programs developed by the Alaturi de Voi Romania Foundation and has brought hope to over 200 young people living with HIV. 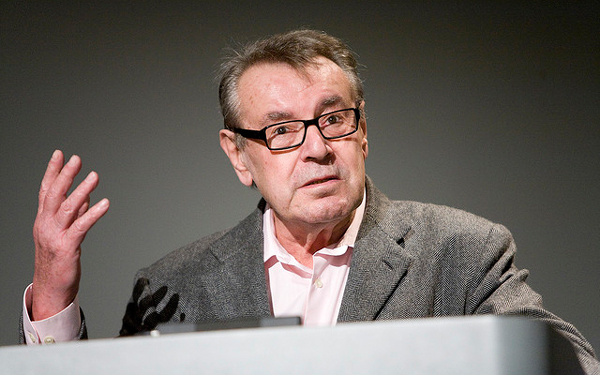 Miloš Forman, was a Czech film director. He made his first feature film in 1963 and quickly gained international recognition. His 1967 movie “The Fireman’s Ball“ is a biting satire on East European Communism and was banned in Czechoslovakia. After the Soviet invasion of 1968, Forman settled in America, winning international fame with One Flew Over the Cuckoo’s Nest. It was only the second film to win all five major Academy Awards. From his earliest works to his last film in 2006, Forman’s films remained close to the reality of life; its absurdity and transforming joys. 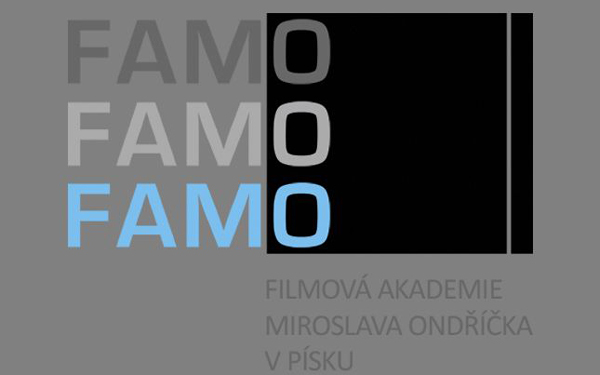 Financial part divided into three parts of 50,000 crowns each to provide scholarships for students of the Film Academy of Miroslav Ondříček in Písek. George Robertson, Baron Robertson of Port Ellen is a Scottish politician who, served as Defense Secretary of the United Kingdom and tenth Secretary General of the North Atlantic Treaty Organisation (NATO). He was appointed to Her Majesty Queen Elizabeth’s Privy Council and received many high honors and awards, including a knighthood and the US Presidential Medal of Freedom. 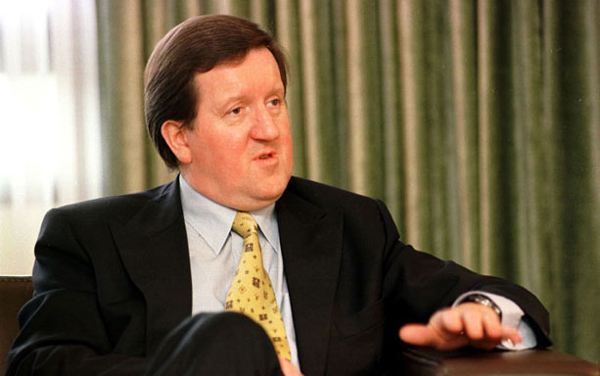 Lord Robertson donated the financial part to David Hodan, who first met Lord Robertson in May 2003. Encouraged by Ms Bela Gran Jensen, founder of the “Centipede” movement, he wrote an essay named “What I would do if I were General Secretary of NATO”. Lord Robertson read the essay and asked to meet David, saying that he especially liked the quotation from Charlie Chaplin which David used in the essay: “I am interested in my future because that is where I am going to spend the rest of my life.” The meeting took place within sight of Prague Castle – which David likes to call his “future seat”. A student at the Terezie Brzková 33-35 school in Pilsen (of which Marc Ellenbogen is a Patron), his ambition is one day to become President of this country. As he says himself, he is an “ordinary boy” with the interests of a boy of his age – he reads a lot and works with computers, but he also has a special interest in current world events, politics and medicine. He is particularly concerned about parts of the world where children suffer as a result of military conflict. David is a boy with the courage to say what he thinks, and to have dreams which may come true. 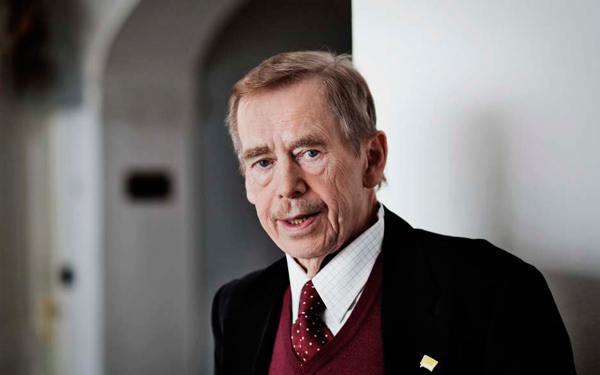 Václav Havel was a Czech writer and dissident who became an icon of resistance and freedom. Excluded by the communists from higher education, he made his name in the 1960s with satirical plays which contributed to the intellectual atmosphere of the Prague Spring. A spokesman for Charta 77, member of the Committee for the Defense of the Unjustly Prosecuted, and opposition leader against the communist regime, he spent more than four years in prison. Following the Velvet Revolution of 1989, he was elected the first President of free Czechoslovakia, and, later the Czech Republic. 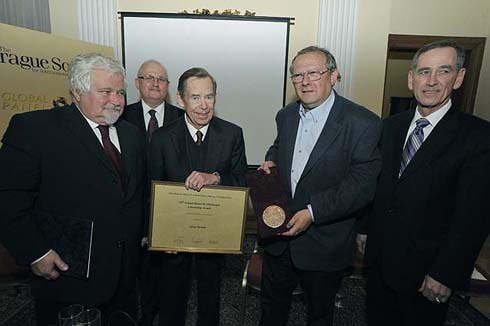 Václav Havel donated the financial part to Andrej Dynko, the editor-in-chief of the indepependent Belarusian newspaper Nasha Niva. Openly critical to President Lukashenko’s regime, and the only major newspaper written in Belarusian, Nasha Niva has become an important symbol of freedom and independence. Dynko is a Graduate from Minsk State Linguistic University, and holds an MA in International Relations. Until August 2000, he also taught at his Alma Mater. From 2002, Dynko has been the Vice-President of the Belarusian PEN Center. 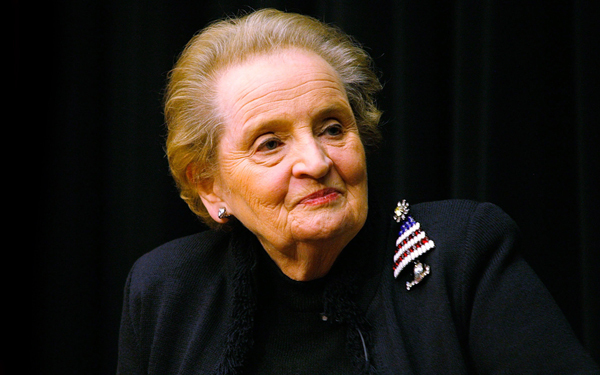 Born Marie Jana Korbelová in 1937 in Prague, Madeleine Albright had a stellar career in diplomacy and government who spent her life serving the common good. In 1993, she became the American ambassador to the United Nations and three years later she was appointed Secretary of State, becoming the first woman to hold the position and the highest-ranking woman in the history of the US government. 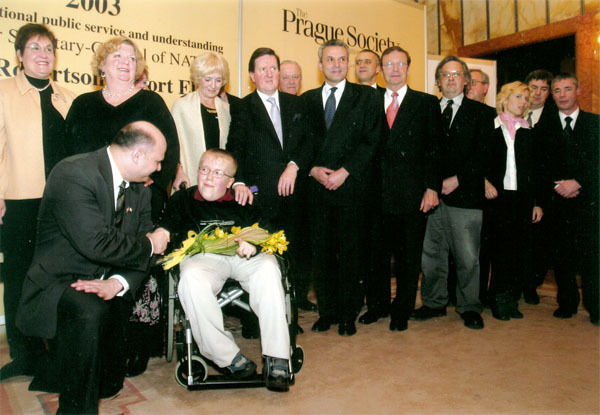 Madeline Albright donated the financial part to Petra Procházková, a Czech journalist and humanitarian worker. She is best known as a war correspondent to the conflict areas of the former Soviet Union. Procházková studied journalism at Charles University in Prague. In 1989 she started work at the newspaper Lidové noviny. In 1992 she became Lidové noviny’s Moscow correspondent. Here she began covering conflict areas – Abkhazia being the first. During the Russian constitutional crisis of 1993 she was the only journalist that stayed in the besieged Russian White House. In 1994, together with fellow journalist Jaromír Štětina, Procházková founded the independent journalism agency Epicentrum dedicated to war reporting. In the following years she covered events in Chechnya, Abkhazia, Ossetia, Georgia, Tajikistan, Afghanistan, Nagorny Karabakh, Kurdistan, Kashmir and East Timor. Maestro Vladimir Ashkenazy (the Chief Conductor), Vladimir Valek (the permanent conductor), Sir Charles Mackerras and Ken-Ichiro Kobayashi(the principle guest conductors). Askenazy devoted his first years as a musician to the piano. After winning first prizes in Brussels in 1956 and Moscow in 1962, he spent three decades touring the great musical centers of the world. From the 1970s, he became increasingly active as a conductor and held positions with the Philharmonia Orchestra, Royal Philharmonic Orchestra, Cleveland Orchestra and Deutsches Symphonie-Orchester Berlin. From 1998 to 2003 Ashkenazy led the Conducting Corps of the Czech Philharmonic Orchestra, with whom he undertook the major Prokofiev-Shostakovich series in 2003. Vladimir Valek has performed in many major cities around the world like Brussels, Cairo, Copenhagen, London, New York, Paris, Beijing, Tokyo, and Vienna to name a few. Sir Charles Mackerras (in memoriam), born in Australia, had a passion for music his entire life and was honered with may awards throughout his life. Ken-Ichiro Kobayashi was the first Asian Conductor to conduct at the Prague Spring Music Festival in 2002. 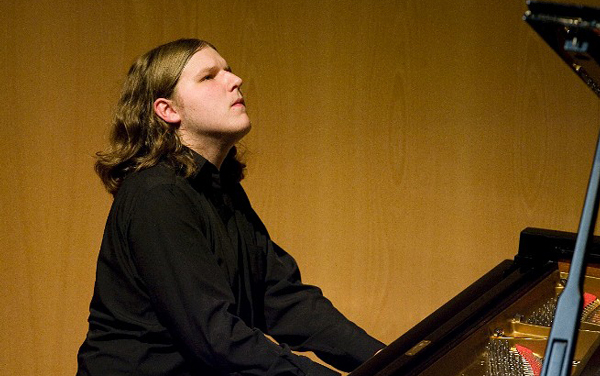 Born in the Czech Republic in 1986 Lukas Vondracek’s musical ability was spotted at the age of two by his mother, herself a professional pianist. He gave his first concert at the age of 4 and now, by the age of 20, he visited 22 different countries giving in excess of 850 concerts. 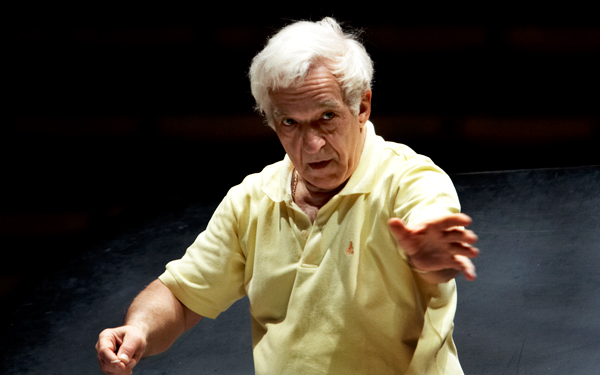 Vladimir Ashkenazy was the conductor when Lukas made his debut with the Czech Philharmonic Orchestra in May 2002 with concerts in Prague and Italy. Since then he has appeared frequently with the orchestra, including a major USA tour, and concerts in Cologne, Vienna, Lucerne, Bad Kissingen, and Birmingham’s Symphony Hall. He is the winner of the International Queen Elisabeth Piano Competition 2016.